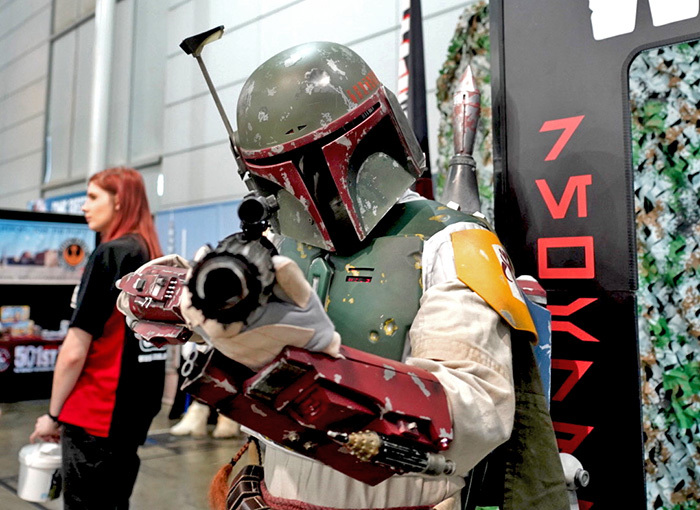 Oz Comic-Con is back in Brisbane this weekend, giving locals a chance to dress up as their favourite pop culture characters, meet some celebrities and get their hands on all manner of themed merchandise. 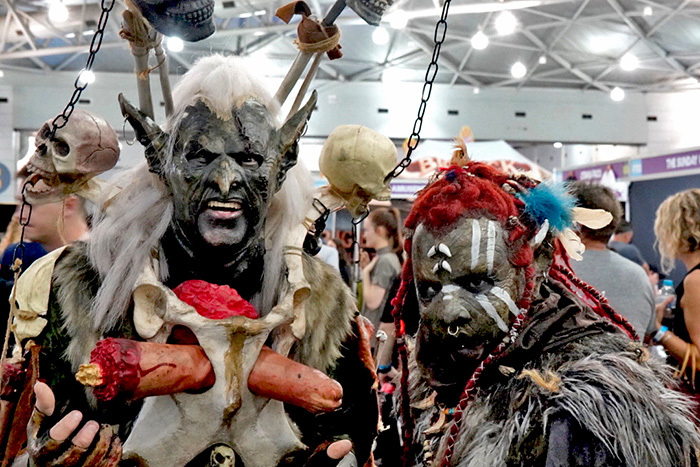 Yesterday was the first day of the two-day event and costumed fans were out in force, filling the Brisbane Convention & Exhibition Centre with orcs, stormtroopers, and a multitude of other popular comic book and on-screen characters. A wide range of events are on offer throughout the event, including a panel with the Star of Netflix’s Altered Carbon, Dichen Lachman, and a workshop on costuming craftsmanship with international cosplayer Yaya Han. Oz Comic-Con organisers have working hard to get more locals to come down and check out the event this year. Regular Comic-Con volunteer Rae Arlington said she was happy to see the work had paid off. “There have definitely been more people around this year,” Ms Arlington said. “Thanks in part to the popularity of the Marvel franchise and other TV shows taking off, it’s now cool to get involved with nerdy things,” she said. 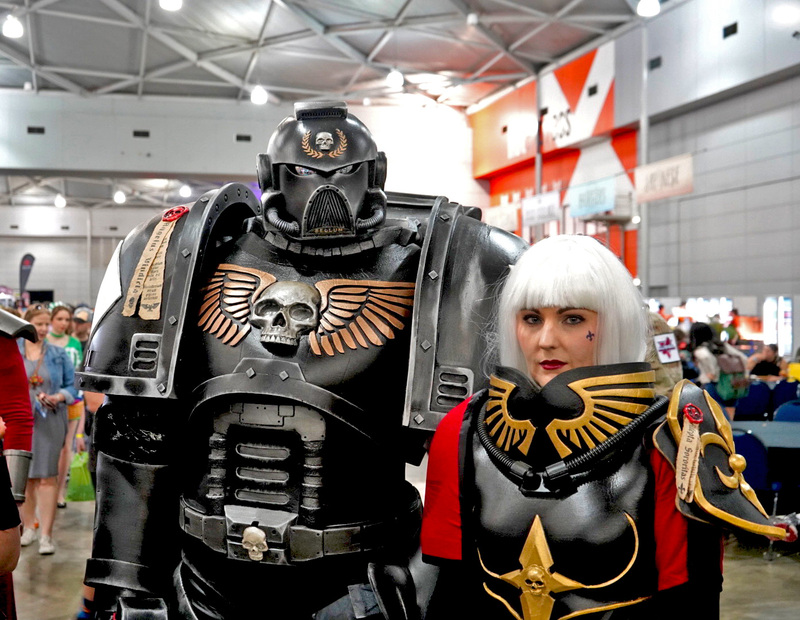 Award-winning professional cosplayer and host of the Oz Comic-Con Cosplay Parade, Justine Gaudreau-Fewster, said the number of attendees and the diversity of the group had amazed her this year. “I’ve seen kids in strollers and I’ve seen grandparents,” Ms Gaudreau-Fewster said. “I really think the community has been growing, I think shows like Game of Thrones and Netflix’s Marvel shows have opened the wider audience to things they would have thought were geeky,” Ms Gaudreau-Fewster said. “But when you come here, and we have guests from Game of Thrones and people dressing up, it attracts people that wouldn’t have necessarily thought they were Comic-Con people,” she said. Sue Tape, spokeswoman for the Queensland branch of the global Star Wars cosplay group, the 501st Legion, said the Star Wars group attending this year had grown into a large diverse group of people, and said everyone should feel welcome to come to Comic-Con and get involved. “We have grown into a huge bunch of people, we have engineers, electricians, nurses, gardeners, young and old, so nobody should feel nervous about coming down to check us out and get involved,” Ms Tape said. The event is more than just a chance to get out and have fun, with some groups, including the Redback Garrison, using the opportunity to raise money for charity. “We talk about the three Cs, costume, charity and community,” Ms Tape said. “Last year we raised over $65,000 through big events like this and local community fetes,” she said. This weekend the Star Wars group are collecting money to send sick children to Disney World. “We had the opportunity to pull together some funds for the families to give the kids an opportunity to do something they might not be able to do later in life,” Ms Tape said. 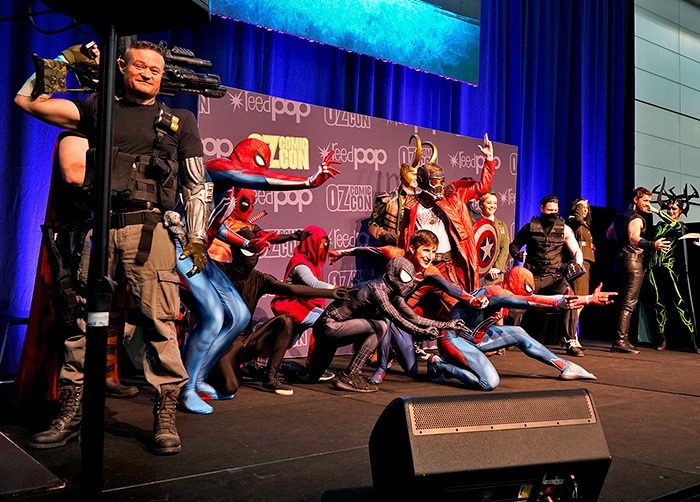 With more panels, workshops and special guests to see tomorrow, Oz Comic-Con still has plenty to offer. Tickets can be purchased online at http://ozcomiccon.com or at the door.